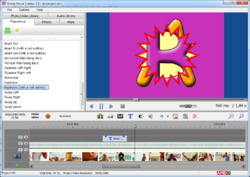 Bolide Movie Creator is an easy to use HD video editor for Windows. Bolide Movie Creator 3.8 was available as a giveaway on July 6, 2018! Do you own a video camera? If so, then you probably have all sorts of uncut videos gathering dust on your hard drive. In our mind's eye, we envision someday taking all those video clips and fine tuning them into something cool; we never get around to it though. There are lots of reasons this might happen, but one of the biggest is not know how to edit video. Let's face it; the idea of video editing can be intimidating to anyone that's never tried it. Mainly because fancy, expensive video editing software takes a long time to master. The very thought of polishing old videos then becomes a question of "do I want to spend months learning how to do this? There must be a better way ... "
How would you improve Bolide Movie Creator 3.8? Create electronic catalog of your book collection. It doesn't matter what books you have - All My Books works great with usual printed books, ebooks and audio books. Organize your movie collection automatically. Keep your discs and video files on the hard drive in a perfect order with All My Movies program. 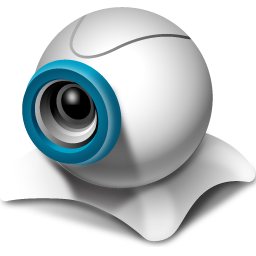 AlterCam is an ultimate webcam software for Windows. 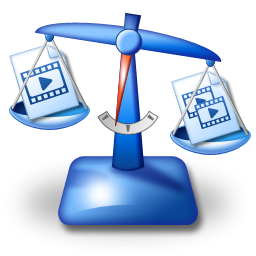 Find duplicate video files by their actual contents. Get rid of low res copies automatically. I received free registration key via email, tried several time to register, but online activation button not working. it is like not sense anything, waited for several minutes with no success, restarted and repeated the process nothing happen, unistalled. after role 6month! Very intuitive and simple to use, and I like to share the results with friends. I had this on my old Vista computer and it ran fine. Easy to combine audio and different videos, add transitions where needed, and create a movie with the right balance of quality and megabytes. Recommended! Easy-as-pie installation AND registration by following the instructions. After registering, it even lists the date when the 6-month license will expire, so we can plan ahead. I like the software; I think it will be easier to use than some others I have purchased. Thank you, GAOTD and Bolide! The app is great for what it's for and suggestions for improvements or additional content are actually really considered by Max, so if there are reasonable things you would like to see in future versions of the tool, then let him know, but consider in which price-range he is actually offering his app. No, I'm not paid by him or someone else to leave a good comment about it, but I bought the tool some time ago and it's ok for what I'm using it for. Came back later and seen the "NB: 6-months license." I wish that was in big letters right above the Download button. Installed. Came back later and seen the "NB: 6-months license." Uninstalled. I wish that was in big letters right above the Download button. cannot get this to run under a Remote Desktop session, while VSDC Video Editor Free and Pro operate just fine under Microsoft Remote Desktop control. VSDC does support full 4k resolution right up to 4096x3072 as well as 4096x2160 and the consumer grade UHD 3840x2160 while the best this offers is just UHD 3840x2160 as max resolution and zero controls to choose output video codec, no VP9 or HEVC H265 just old AVC H264 which is NOT suitable for UHD video production. Transforms this offers are very simple fixed transforms while VSDC offers highly adjustable transforms that can fine tune angles of rotation, and syncronize the rotation to specific points in the time line and not just on an entire video object. Even the free VSDC video editor is far more powerful than this. cannot get this to run under a Remote Desktop session, while VSDC Video Editor Free and Pro operate just fine under Microsoft Remote Desktop control. VSDC does support full 4k resolution right up to 4096x3072 as well as 4096x2160 and the consumer grade UHD 3840x2160 while the best this offers is just UHD 3840x2160 as max resolution and zero controls to choose output video codec, no VP9 or HEVC H265 just old AVC H264 which is NOT suitable for UHD video production. Transforms this offers are very simple fixed transforms while VSDC offers highly adjustable transforms that can fine tune angles of rotation, and syncronize the rotation to specific points in the time line and not just on an entire video object. Even the free VSDC video editor is far more powerful than this. I'd prefer a limited number of prog openings say 25 rather than the time period restriction. Downloaded and installed without issue, fired it up and entered the registration code and restarted the program, everything looks good, threw in 5 clips I wished to merge together, took about 2 mins and was complete, the newly merged clip looked and sounded fine but was stripped of all its subtitles, is there a way to keep the program from stripping out subtitles when merging multiple clips together? What happens after the 6 month licensing period ? Does this mean you will no longer receive updates ? Or does it mean the software will revert to some other mode, i.e. reduced features ? Or does it mean it will stop functioning completely ? What happens after the 6 month licensing period ? Does this mean you will no longer receive updates ? Or does it mean the software will revert to some other mode, i.e. reduced features ? Or does it mean it will stop functioning completely ? Or ? Thank you. 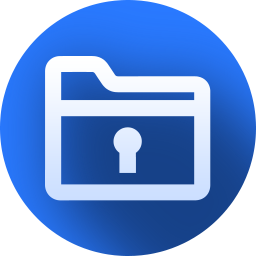 BobbyA, after license expiration, the program will still work with no functionality locked, but it will place a watermark in the saved video files. No 4K support, can't use. Max says you're a complete banana. "Bolide Movie Creator supports 4k resolution." Max says you're a complete banana. "Bolide Movie Creator supports 4k resolution." Max Doesn't Believe You, you *might* not have intended it to be an insult to call a person you are disputing a fruit, but other parts of the world and other people may see it as an insult as I do. Ultimately I uninstalled because this program would not render the video. It returned an error code each of the three times I worked up a video. It was simple to use and had most of the features I would use for day to day editing. I could not edit sound that was part of the clip I imported. I looked at the online help and indeed it can only work with sound that is ripped from the video clip. That could be worked around. But, failing to render or even save was the killer. Christian, did you use the GOTD-version or the Fix-version? At first I got an error using the GOTD-veriosn. I applied the fix, as mentioned in the receive mail and al went OK. I've tested the software compared to others I have installed such as Hitfilm express, Filmora and Sonny Vagus Pro. It's a very simple software (as in easy to understand and use not in what it does). It is actually pretty good works well and no issues so far on windows 10. So a fantastic giveaway apart from one aspect. The 6 months lisance. If you could change that in the future I'm sure that people who don't have or want to buy a more complicated and powerful software and just want to edit basic aspects would find this a good programme. Personally, I have very little for this programme and that's why I would suggest this to make urself more competitive. To other users, if you don't have a video editor I would get this and hope for a new giveaway in the future so you can renew. A modern video editor should support 4k resolution. Max from Bolide Software, Stephen certainly means the H265 (HEVC) Video Codec. Max from Bolide Software, your words! Hardware acceleration of .h264 encoding is supported! NO H265 (HEVC) Efficiency Video Coding (HEVC).....Is not listed. Max from Bolide Software, your words! Hardware acceleration of .h264 encoding is supported! NO H265 (HEVC) Efficiency Video Coding (HEVC).....Is not listed. Max from Bolide Software, FYI 3840x2160 is NOT 4K it is UHD or 2160p or 2160i resolution. 4K is either 4000x2160 or more properly 4096x2160 also known as UHD but not all UHD is automatically 4K. Remember the simple fact all chickens are birds but not all birds are chickens. Max from Bolide Software, FYI 3840x2160 is NOT 4K it is UHD or 2160p or 2160i resolution. 4K is either 4000x2160 or more properly 4096x2160 also known as UHD but not all UHD is automatically 4K. Remember the simple fact all chickens are birds but not all birds are chickens. TK, 4096x2160 is used mostly in digital cinema production. Are you working in this industry? The most common 4K resolution is 3840x2160. Max from Bolide Software, 4k is a number it corresponds to 4096 in computer context and 4000 in metric mesurment context, 3840 is a UHD resolution specification NOT a 4k resolution. 3840 is just twice 1920 and is made by doubling a standard 1080p display pannel. 1920 does not equal 2k as 2k =2048 or 2000 depending upon context. It has been abused by marketing departments when a poduct is really 3840 pixels across, just because some companies choose to LIE does not redefine a NUMBER to mean something else. If you choose to continue propogating the lie that 4k = 3840 more fool you as you continue lose respect of educated people! Now if your program supports 4096x2160 then by all means say so and continue to claim it supports 4k and other UHD resolutions but if it does not support 4096x2160 don't lie just because other marketing departments have so far gotten away with lying! Max from Bolide Software, 4k is a number it corresponds to 4096 in computer context and 4000 in metric mesurment context, 3840 is a UHD resolution specification NOT a 4k resolution. 3840 is just twice 1920 and is made by doubling a standard 1080p display pannel. 1920 does not equal 2k as 2k =2048 or 2000 depending upon context. It has been abused by marketing departments when a poduct is really 3840 pixels across, just because some companies choose to LIE does not redefine a NUMBER to mean something else. If you choose to continue propogating the lie that 4k = 3840 more fool you as you continue lose respect of educated people! Now if your program supports 4096x2160 then by all means say so and continue to claim it supports 4k and other UHD resolutions but if it does not support 4096x2160 don't lie just because other marketing departments have so far gotten away with lying! 2k is way more smaller and the same again 2,048x1,440p is for TV's whereas cinema production is 2,048x[unspecified]. This is why 2560×1440 is not 2k. That would be 2.5K. As Max from Bolide Software has stated. "4096x[unspecified] is used mostly in digital cinema production" for more general use and TV's the resolution is 3,840x2,160p. It isn't 2k as there is a small 13% difference to 4096x2160 2k is way more smaller and the same again 2,048x1,440p is for TV's whereas cinema production is 2,048x[unspecified]. The terms 2k and 4k DO NOT refer to **specific resolutions**. They are categorizations of resolution. 2K refers to resolutions approximately 2,000 pixels horizontally and 4k approximately 4,000 pixels horizontally. It's easier than saying something like 2160p or 1536p Examples of 2k are: 1920 × 1080 | 1920 × 1200 | 2048 × 1080 | 2048 × 1152 | 2048 × 1536 This is why 2560×1440 is not 2k. That would be 2.5K. TK, You are trying to split hairs where it is not necessary. Simple research will show that true 4K is generally used in digital cinema production. UHD is the consumer version that is generally defined as 4k across the industry. There is no point in really discussing it because those that really do require the 4k cimema experience are most certainly not going to purchase cheap editing software to edit it. Free alternatives are "DaVince Resolve" and "Hitfilm Express". Probably not as easy to learn as today's giveaway, but they are more powerful and - most of all - are permanently free (no time limited license). Looks like it may be good. Running on Windows 10 64 bit. "Access violation at address 00697C60 in module 'BMCreator.exe'. Read of address 00000004." Have tried running as administrator, and tried compatibility settings from Vista to Win 8 - no joy. As it doesn't run, it's no good for me (and as such, can't comment on how good the program is) - hopefully it works properly for other users. Looks like it may be good. Running on Windows 10 64 bit. However, when clicking on 'Transitions' or 'Effects', the program crashes: "Access violation at address 00697C60 in module 'BMCreator.exe'. Read of address 00000004." Have tried running as administrator, and tried compatibility settings from Vista to Win 8 - no joy. As it doesn't run, it's no good for me (and as such, can't comment on how good the program is) - hopefully it works properly for other users.